George Davies Turf has been developing our products and delivery services since 2001, and our Bark Mulch in Princes Risborough meets the highest standards. Every delivery we make with our 32 tonne lorries is swift, while our Manitou forklifts allow us to place our products exactly where our clients want it. We supply many golf courses in Buckinghamshire as well as sports grounds, country estates, residential properties and building sites among others. Our comprehensive range of products in Princes Risborough are always delivered fresh, and we have a 30ft chiller unit that allows us to store turf when temperatures outside rise. Our leading quality turf is always sourced from highly regarded growers based in the UK, allowing us to pick the best turf throughout the year. 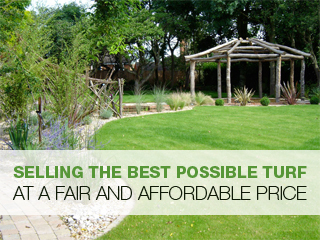 We’ve helped a comprehensive range of clients improve lawns, fill borders and top dress their gardens with premium products, and our Bark Mulch in Princes Risborough can meet a wide range of requirements. With two UK based depots, we can make quick deliveries in Buckinghamshire, and you can read through our selection of testimonials to see how we’ve helped our previous clients. No matter how large or small your order is, we can meet your needs and we’re regularly able to make deliveries in Princes Risborough, in the tightest of spaces. A superbly timed delivery is extremely important, and that’s why we turn up exactly when we say we will. Obviously today there is more traffic on the road, but you’re always kept up to date with the progress of your delivery, so if we do run into any issues you will be the first to know. Whether you’re a domestic customer, a landscaper or a green keeper in Buckinghamshire, it’s important that you receive fresh products and our complete service is geared towards Bark Mulch, efficient deliveries and friendly customer service. We make deliveries in Princes Risborough all year round, and whilst it is easier to deliver turf in the winter months (as turf is not growing as fast); we have the facilities and the equipment to make fresh deliveries in the dry, humid summer months too.